What is remembered as a slightly chaotic but still fascinating collection of objects for everyday and cult use lie forlorn and neglected. Some bear signs of long years of wear and tear. A little extra knowledge makes it possible to decode these relics – but only to evoke a feeling of helplessness and confusion. We are talking about the showrooms of the Vienna Museum of Ethnology in the western wing of the Neue Hofburg, the former imperial palace. Since 1999 these rooms and corridors have been in the process of being refurbished, and valuable objects from all over the world are stored elsewhere until the re-opening, planned for 2007. As a matter of fact the building site as a whole is closed to the public, but one room – overlooking the imperial garden – is open for meetings of the Friends of the Museum. On May 4, 2005, the speaker in this room is the 35-year-old anthropologist, Simron Jit Singh, talking to a group of ethnologists on the Nicobar Islands, which the Indian scholar has been studying since 1999. This is actually a subject for specialists. 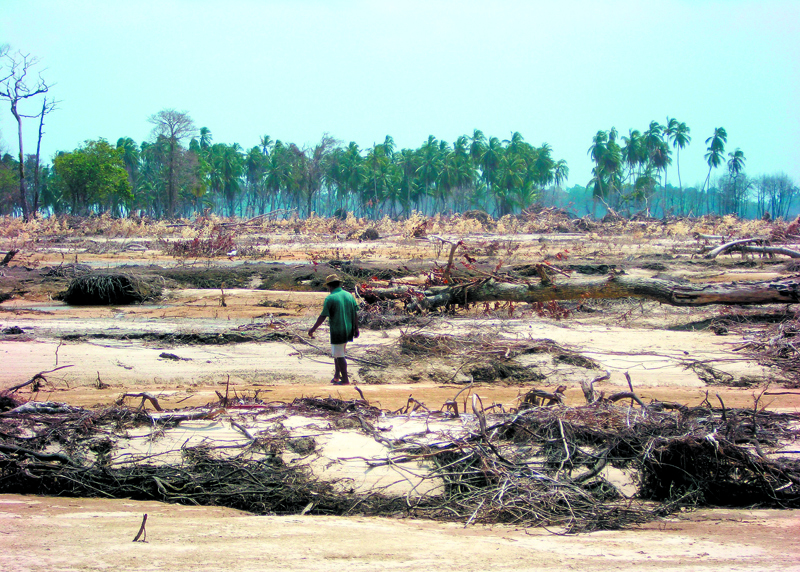 The source material on this archipelago in the Bay of Bengal is limited. Documents and artefacts are archived in London, Copenhagen and also in Vienna. 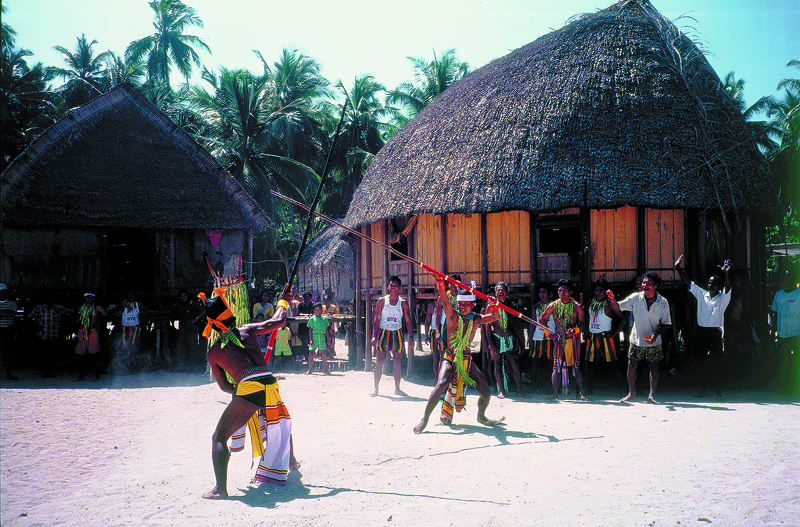 But since the disastrous tsunami of December 26, 2004, what was a specialist subject of South-East Asian anthropology has become an enormous challenge to the world in general: can the indigenous populations of the Nicobars – one of the most secluded peoples in the world – maintain their culture, their identity and their very existence as Nicobarese in the face of a threat of disappearance? Chances are not good, Singh says on this mild spring evening, not so much because of the tsunami, which roared over the flat islands in eight waves of up to twenty metres high. 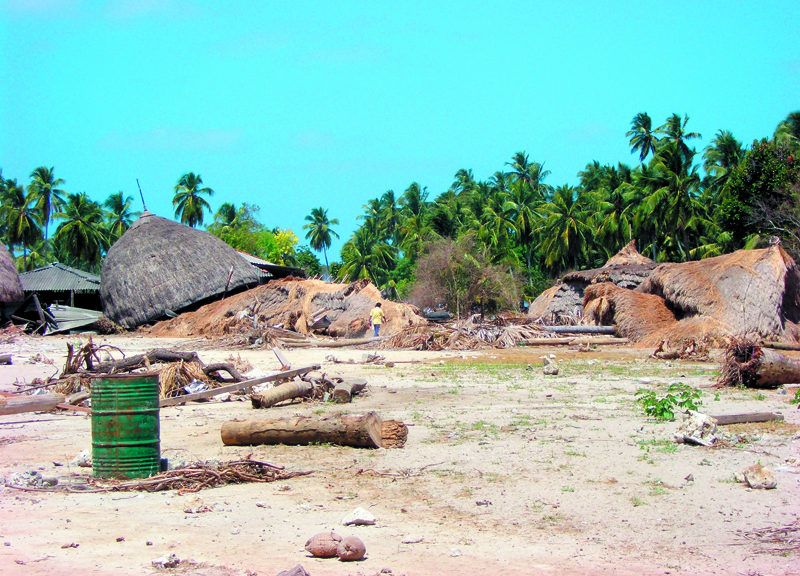 The Nicobarese are also at risk from the catastrophe, which followed the catastrophe. The title of Singh’s talk is: “When Help becomes Abuse – Disaster Capitalism in the Nicobar Islands.” His speech and manner are gentle, but his lecture is not. 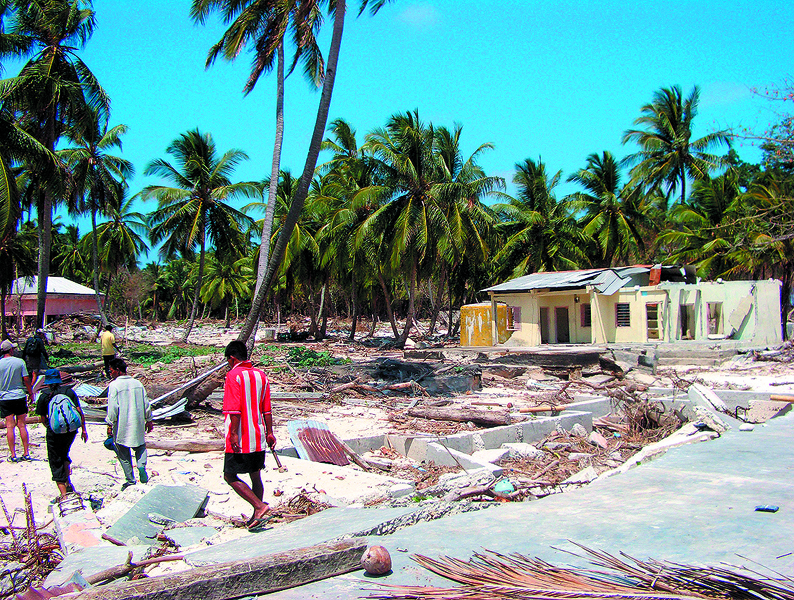 He gives a description of the absurdity of disaster response by aid organisations in the first few days and weeks, which he encountered during his stay on the island in January and February of 2005. This lecture led to a meeting between Simron Singh and me that formed the basis of the article on the Nicobars in the July number of Universum magazine six months after the catastrophe. 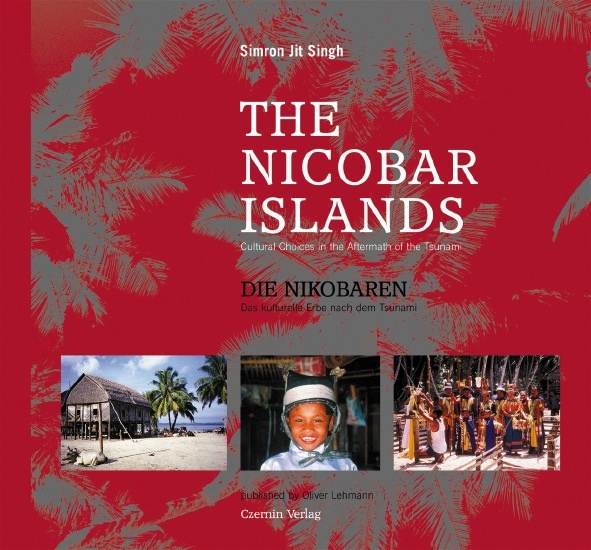 Singh asked me for advice on finding a publisher for a popular-scholarly book on the Nicobar Islands that could be distributed to the Nicobarese to assist them in reviving their culture in the aftermath of tsunami. It soon became apparent that an ordinary book would not be enough. Singh needed a reference book for the Nicobarese, whose culture had hardly ever been written down. In order to revive all forms of cultural expressions, said Singh, it was necessary to give the people as quickly as possible some documentation which could supply examples. Within a short time the project developed as a real cooperation between a scientist and a journalist, both of us fulfilling parts and functions necessary to produce a book that meets the needs and expectations of the Nicobarese, the scientific community and the general public: an exciting enterprise in cross-culture-mediation for both of us. Already as a student of ecology and environment in New Delhi, Singh applied these ideas to his research on the Van Gujjars, a nomadic group of buffalo herders in the central Himalayas. 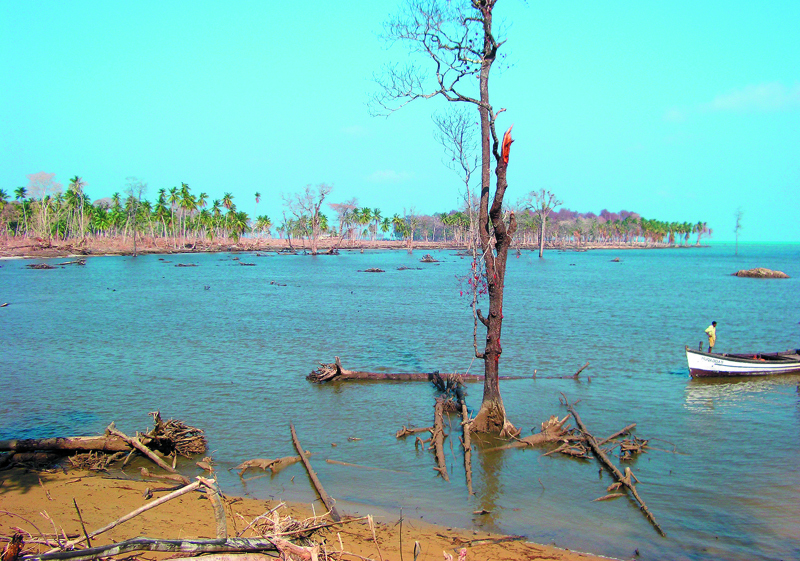 In 1999, his interest shifted to the study of pre-industrial island societies that took him to the Nicobar Islands. The result of his annual expeditions were published in 2003 as a book, ”“In the Sea of Influence” (now sadly out of print), by the Swedish University of Lund, where Singh has been teaching and researching since 1997. 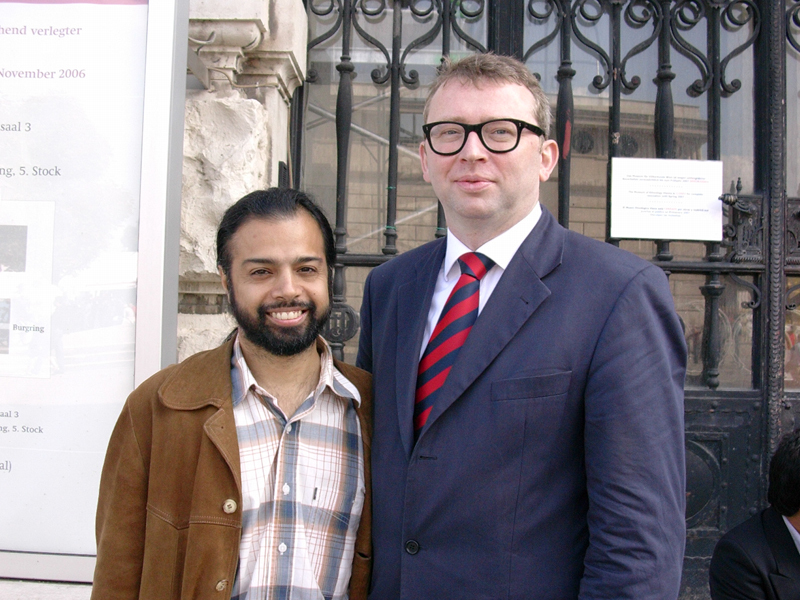 When he arrived in Vienna in 1999, Simron Singh made a surprising discovery. A reasonable collection of ethnological objects and documents on the Nicobars was being held at the Museum of Ethnology. The reason for this vast amount of artefacts was the ambition of the Habsburgs to imitate the maritime powers of the 18th century in building up a colonial empire. With the aid of a Dutch captain, a convicted opium dealer dismissed from the British East India Company, the formerly Danish Nicobars were occupied by the Austrians. (The Danes, for their part, had already abandoned their colonial aspirations when the colonists gradually died off through malaria). In 1778 the Austrian occupiers themselves complained about the lack of fresh water and food, but Vienna abandoned them to their fate. When the leader of the troop died in 1783, so did first attempts at colonisation. In a spirit of discovery, the Austrian archduke Ferdinand Maximilian (later unfortunate and short-term emperor of Mexico) sent the frigate “Novara” round the world. On board was a team from the Academy of Science, which was to investigate the possibility of establishing prison colonies in far-off lands. In February 1858 the explorers anchored off the island Car Nicobar. The ethnologist Karl von Scherzer brought back around 400 objects, but in spite of his recommendation, plans for a colony on the island were not realised. Finally, in 1886, the corvette “Aurora”, en route to eastern Asia, dropped anchor in the harbour of Nancowry. In the meantime, the islands had been occupied by the British. The dream of a royal and imperial colonial empire was blown away. What remains are objects from later expeditions, now in the Museum of Ethnology, actually presented to the public for the first time in 1987. The photos in Simron Singhs introduction are from this collection. 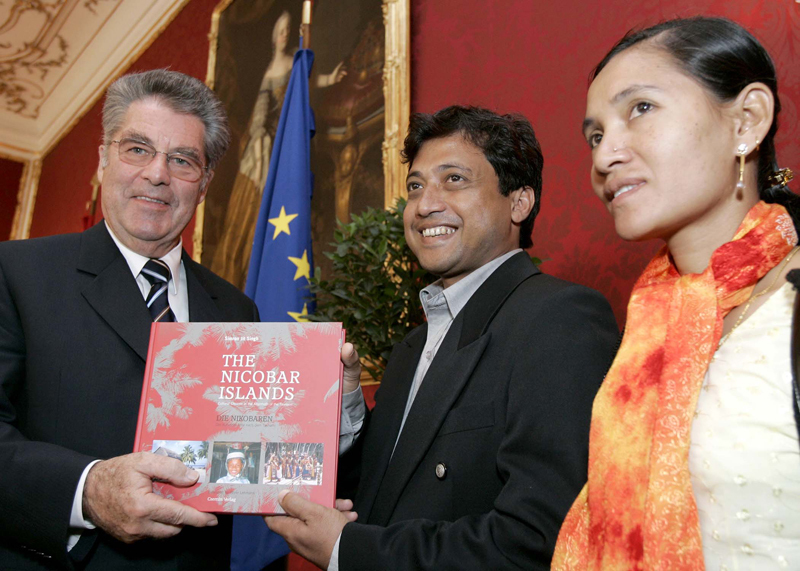 More on the history of the islands and the book project are to be found in the podcast by Philipp Steger The Nicobar Islands published in „Bridges“ (Vol 8, Dec. 2005), the e-zine of the Office of Science and Technology at the Austrian embassy in Washington, D.C. 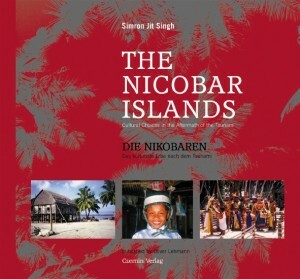 Copies of these pictures were of great help to Simron Singh in his fieldwork in the Nicobars. The Nicobarese regarded the archiving of their past as an estimation of the value of their culture. When Simron Singh started his work in 1999, the population was in a transitional phase of the kind that has been significant for other indigenous populations since the 1980s. Thus, Simron Singh documents the decline of an economic system based on self-sufficiency in favour of an existence within a market economy. Coconuts are no longer bartered for textiles and metal tools as was in former times, but are now processed into copra – dried flesh of the coconut and the basis of coconut oil – used in payment for food such as rice. Changing times leave their mark on the culture. A diesel engine produces electricity not only for lighting, but also for the television set. Within a short span of time, Bollywood epics intensified contacts with the Indian mainstream in a way that schooling or official welfare programmes had not been able to achieve over decades. Simron Singh does not pass judgement. In an interview with Universum magazine (of July 2005) he states: “We cannot treat the population like museum pieces.” In conditions such as those up to December 2004, this transition would have taken years and so would have been almost tolerable for all age groups. Singh describes the Nicobarese as then living in a “time capsule“. Under normal circumstances this capsule would have had a crumple zone sufficient to absorb the approach of the global present without sustaining much damage. 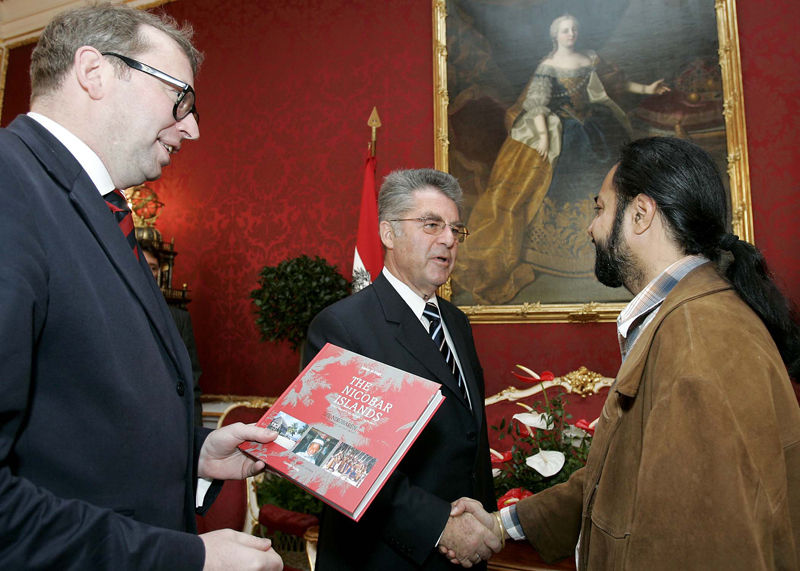 A good part of the Austrian share of the reconstruction will be financed through Andre Heller’s initiative “Austria for Asia”. 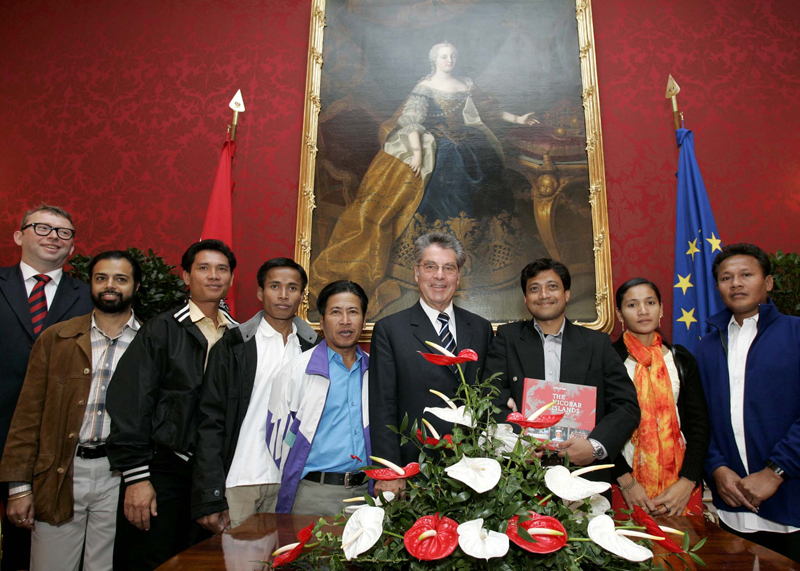 Sales from this charity CD of the Austrian pop music scene, and funds collected by the Institute of Social Ecology and Caritas Austria formed the basis for the Sustainable Indigenous Futures (SIF) fund dedicated to rehabilitate indigenous people of the Andaman and Nicobar Islands affected by tsunami. Projects are developed and applied for by the affected communities themselves and approved by the steering committee of the SIF fund for financing on the criteria that they are culturally appropriate, ecologically sustainable, economically feasible and socially equitable. It may be relevant to add that the proceedings from the sale of this book is also dedicated to SIF’s efforts. This book supplements ongoing rehabilitation efforts in the direction of cultural revival. It is based on the results of Simron Jit Singh’s field research in the form of notes and photos. The arrangement of the chapters should, on the one hand, give the reader an understandable impression of the economic, social and spiritual-cultural general scheme of things that formed the life of the Nicobarese, at least until December 2004; on the other hand, the Nicobarese themselves, who receive this book will be able to look up the rituals, working practices, artefacts and the architecture documented in it; it is meant to be not only a documentation of the past but also a handbook for the present and the future. The book attempts not only to fulfil and to understand the needs and interests of the population of a destroyed island world in the Indian Ocean but also those of inhabitants of the western world with its post-industrial life-style. If we succeed in building this bridge, then the greater part of the work has been achieved. Whether or not the intentions of this book – the documentation of the cultural heritage and the building of a bridge between worlds – are realised, remains to be seen. It is an open-ended experiment. For this, and the fact that the fate of the Nicobarese is not an inevitable or hopeless affair, we have to thank the commitment and knowledge of Simron Jit Singh. The purchase of this book significantly supports this work – and proves that, even after 400 years, John Donne still continues to have got it right. Dieser Beitrag wurde am 26. März 2012 von OL in Archiv | archive, Bücher | books, English, Karten | maps veröffentlicht. Schlagworte: Danube Monarchy, Ecology, Ethnology, Indian Ocean, Nicobar Islands, Tsunami.